Each year I make some Valentines for one of the teachers at Kate's school. She has two little sons who have lots of teachers to give Valentines to and so I like to make cute but boyish cards for them. 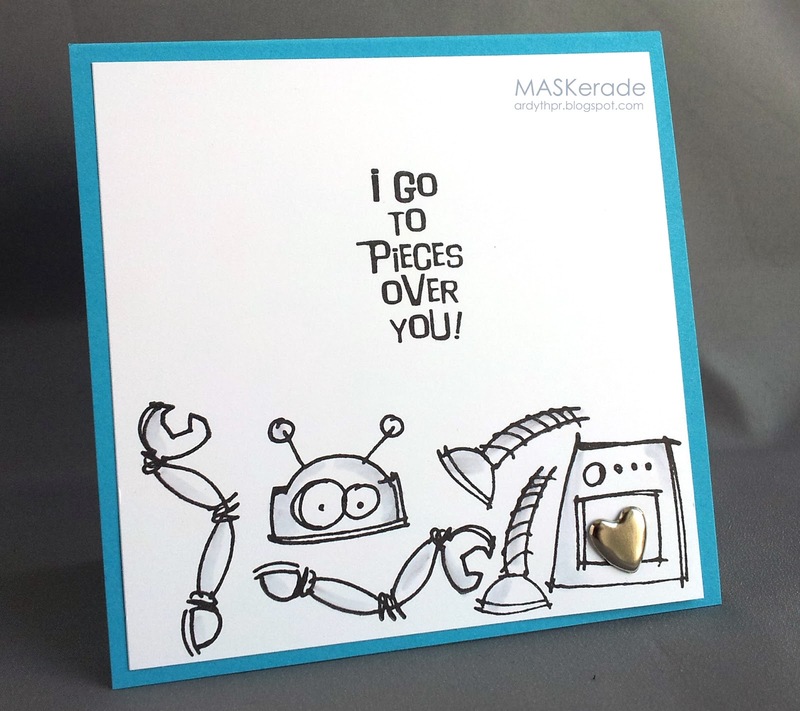 This old Stampendous robot set (I think it's two sets actually - one of the robots and one with the sentiments, maybe?) works perfectly! All the bits (heads, bodies, legs and arms) are separate and you can make them into robots however you like. I love the look on these two faces, so I use them the most. Simply stamped and shaded with Copics - perfect little cards for boys' teachers! V cute - yet still masculine! I have a card for you, but with my move from my old computer to my new one, it somehow LOST some of my email contacts?? Needless to say, that's not a good thing, but I do need to reach you. Please email me at Purple_Place@verizon.net and I'll be able to add you again!! Oh, these are just darling. Perfect for little boys. These are hilarious! I can just see a little boy giggling over these. Love the shiny embellishments too! omg i LOVE LOVE these two cards! They are so adorable... perfect for little boys. Super cute, Ardyth! Perfect for little boys! Yep, absolutely perfect cards from little boys! After my Valentine-athon, I'll be looking for new ideas for next year and these stamps certainly have caught my attention. LOVE your cards, as will the teachers! FABULOUS! I just LOVE those cards! Looks like such a fun stamp set! OMG - I have the robot set: NBUS! You've done a fabulous job on those cards - I love the subtle shading, and the screw brad! These are adorable! Too bad this is retired! Oh, my goodness, Ardyth your little characters are just adorable. 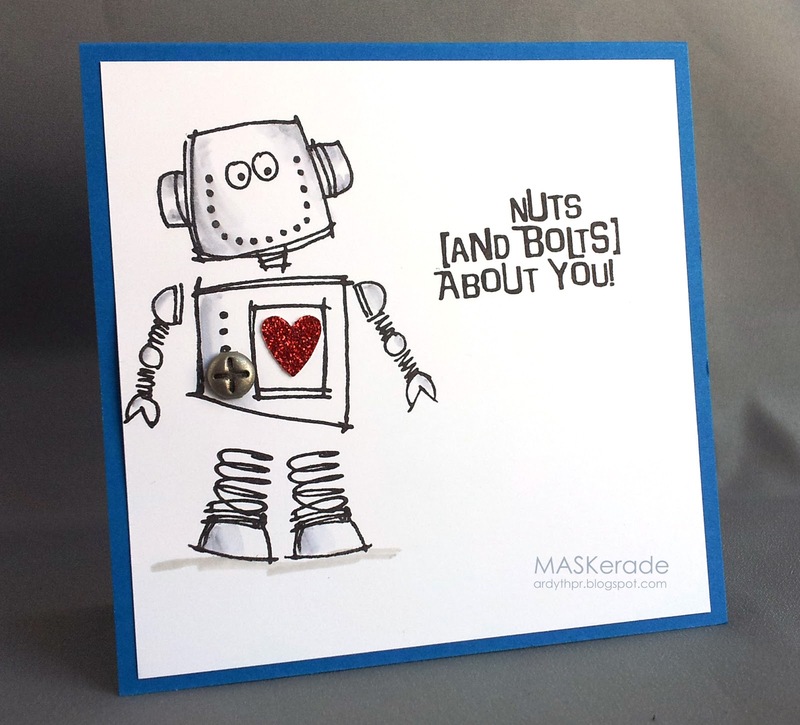 So much fun on two cards...love them both and now need a robot stamp set.